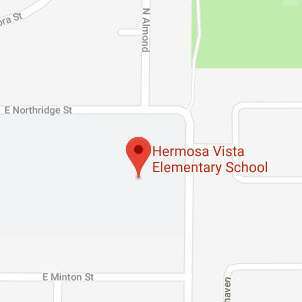 Mon, Tue, Thu, Fri8:25 a.m. 2:55 p.m.
Mon - Fri7:30 a.m. - 4 p.m.
Hermosa Vista Earns Another A! Skyhawks celebrate the uniqueness in each of us. The mission of Hermosa Vista Elementary School is to incorporate practices that ensure high levels of achievement for all students in a safe, nurturing environment where students develop a growth mindset that cultivates lifelong learning.